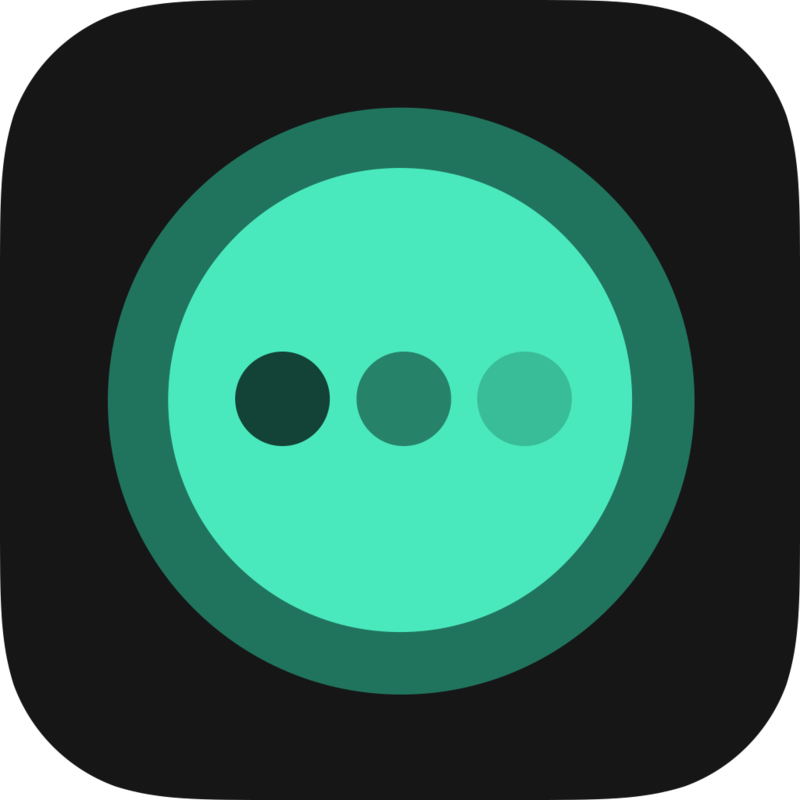 Create trailing echos, simple slapbacks or precise rythmic effects. Add Chorus, Vibrato, Flanger, Tremolo, Phaser & Panning effects with a second modulation delay. Combine both delay lines in any way you want or use them independently. 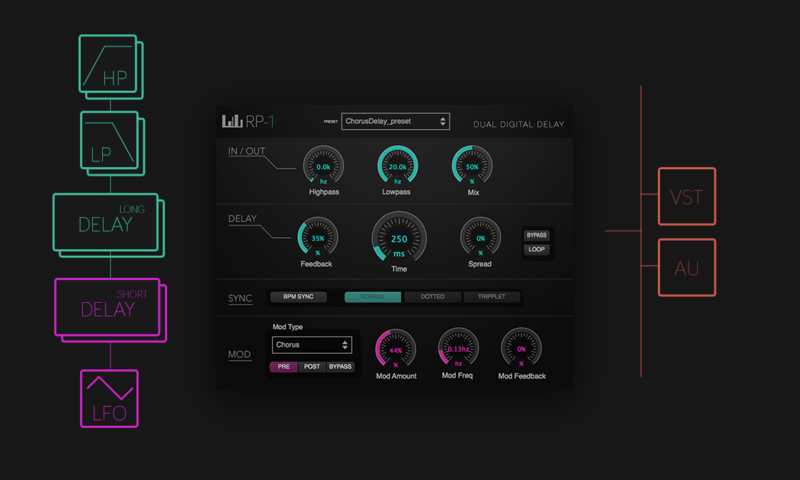 From input to ouput, RP-1 applies true stereo processing in every step of the signal chain. 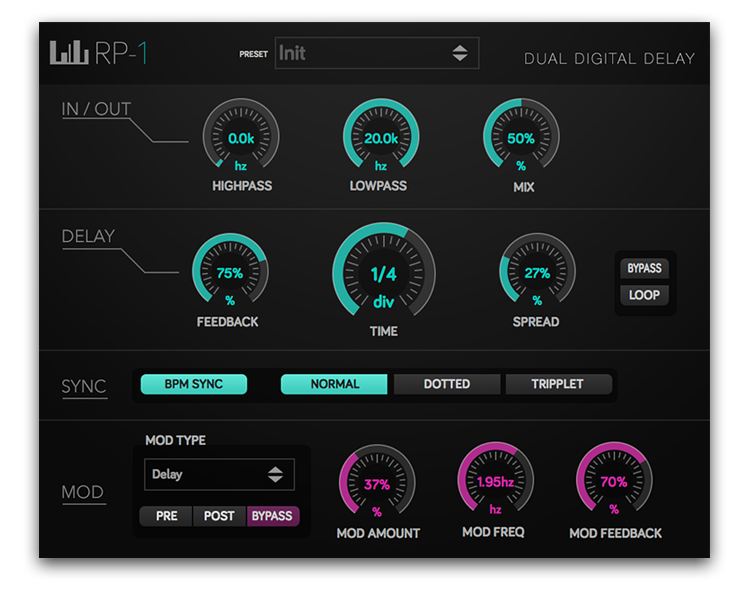 RP-1 comes in both, AudioUnit an VST format and works equally well on Windows as it does on Mac OSX. 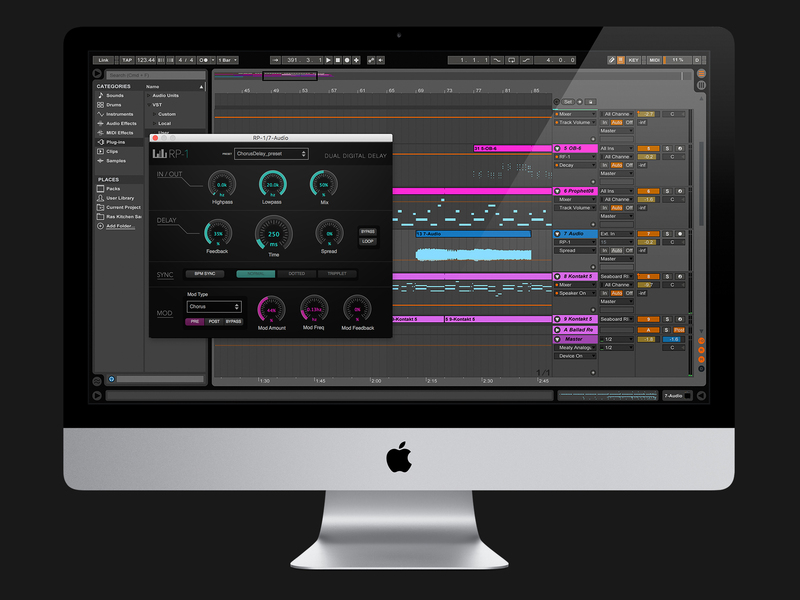 On the Mac, RP-1 supports both, AudioUnit (AU) or Virtual Software Instrument (VST) format. On Windows, RP-1 ships in VST format and comes with both, 32bit and 64bit versions. Have a listen to some selected audio demos. RP-1 comes with a fully functional but time limited demo. Don't hesitate to get in touch! We'd love to hear your suggestions, ideas or feature requests. We always reply as soon as possible.